Staffing Texas is a woman-owned staffing agency with offices in Conroe and Bryan, Texas. They specialize in light industrial, administrative and professional positions. “Putting Texas to work” is not just their slogan, it’s also their way of life. 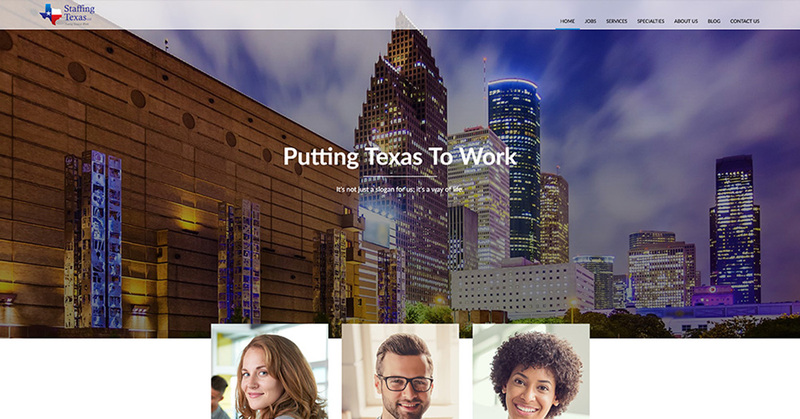 Staffing Texas put Haley Marketing to work on building them a new website. By incorporating Texas imagery and red, white and blue throughout the site, it’s made clear this company is owned and operated by Texans. Is an All-Inclusive Website right for your staffing firm?